World Cement profiles three semi-finalists in the NRG COSIA Carbon XPRIZE that offer solutions to reduce the carbon footprint of concrete. In this first article, Robert Niven of CarbonCure Technologies profiles technology that injects CO2 into wet concrete, improving its compressive strength. World Cement's original article is available here. 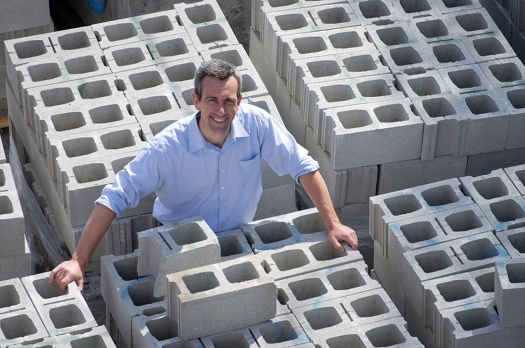 CarbonCure Technologies (CarbonCure), based in Nova Scotia, offers global concrete producers an opportunity to utilise and recycle waste CO2 into concrete to increase its environmental, material, and economic performance. Not only is the CO2 permanently converted into a solid mineral within the concrete, but the addition of CO2 also improves the compressive strength of concrete. This allows concrete producers to achieve the required concrete performance, while reducing the amount of cement, which provides operational cost savings for the manufacturer. CO2 is captured from existing industrial emitters, before being purified, stored, and distributed to concrete producers in pressurised tanks. The tanks are brought to the concrete producer’s facility, where CarbonCure’s technology injects controlled doses of liquid CO2 directly into the truck or mixer. When liquid CO2 is injected into wet concrete, it chemically reacts with calcium ions released from cement to form solid, nano-sized calcium carbonate particles that become permanently bound within the concrete. The nano-material catalyses the normal portland cement curing reaction using a crystal seeding mechanism to yield a 10 – 20% strength benefit. 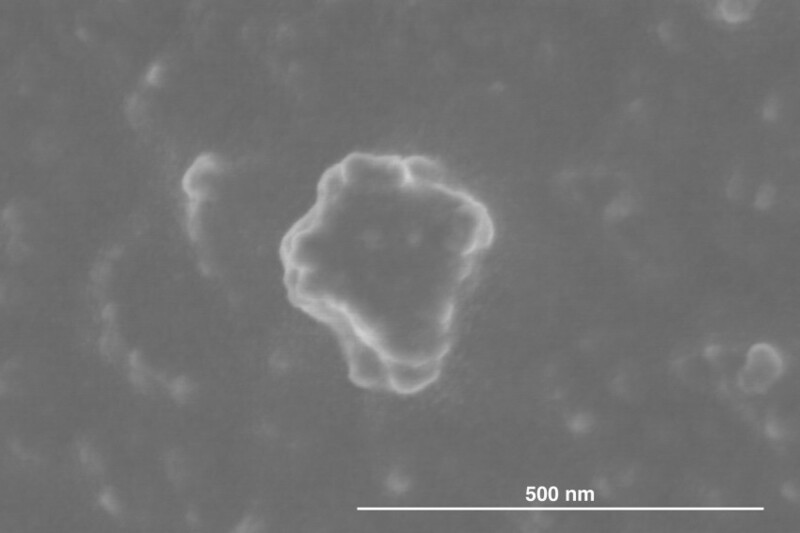 Nano-scale (100-150 nm) calcium carbonate reaction products produced through carbonating freshly hydrating cement as imaged by scanning electron microscopy. The installation of CarbonCure’s technology at a customer’s concrete plant is a process that resembles the introduction of a chemical admixture. The concrete producer connects a tank of liquid CO2 to the CarbonCure injection system, which regulates the dosing of CO2 into the concrete while it is batched or mixed. Upon injection, the liquid CO2 converts into a mixture of gaseous and solid CO2 (snow), whereupon it reacts with the hydrating cement to form solid calcium carbonate particles. CarbonCure has been optimising its technology over its 10 years of R&D, and through industrial installations across North America. Industrial data has demonstrated that the introduction of the CO2 does not impact the concrete’s workability, air content, freeze-thaw performance, pH, density, durability, air content, colour, texture, or finish. CarbonCure’s retrofit technology can be installed in any existing concrete facility in less than a week, has no upfront CAPEX, and is licensed to customers on a monthly basis. The company’s solution integrates within the existing supply chain, and complies with applicable codes and standards. Given CarbonCure’s scalable technology and business model, and the fact that the technology provides both environmental and economic benefits to the customer, the company is poised to scale globally. The company will continue to grow from its customer base of more than 50 current installations, and will leverage relationships with global corporate strategic partnerships to achieve a worldwide impact. CarbonCure has demonstrated that the technology can allow a typical concrete producer to achieve annual CO2 reductions of at least 500 t. If the technology were implemented globally, then the concrete industry could achieve CO2 emissions reduction of over 700 million tpy. CarbonCure’s retrofit technology chemically sequesters waste carbon dioxide during the concrete manufacturing process to make greener and stronger concrete. CarbonCure is part of a growing industry of CO2-utilization technologies that are expected to reduce global greenhouse gas emissions by 15% by 2030. CarbonCure’s technology is currently operational in a growing number of concrete plants across North America, including several of the world’s largest vertically-integrated cement and concrete companies. CarbonCure is one of 27 semi-finalists in the $20 million NRG COSIA Carbon XPRIZE challenge, which has been called the Nobel prize for climate technologies. For more information, visit: www.carboncure.com. Robert Niven, MSC. Is the founder and CEO of CarbonCure Technologies, Dartmouth, Nova Scotia, Canada.